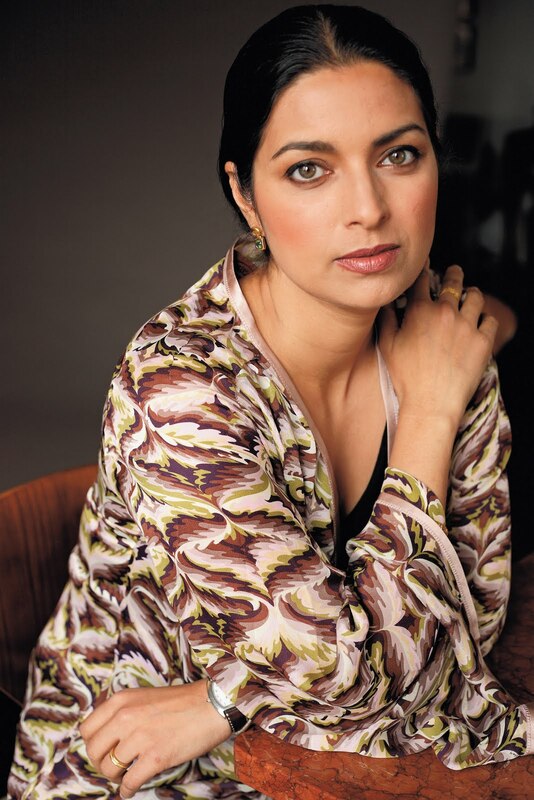 Over the past month, I have read Jhumpa Lahiri's novel and short story collections for grad school and I must say, I am looking forward to rereading the short stories and reading her new work. The London-born, Rhode Island-raised, Brooklyn-based Lahiri is of Bengali descent and most of the characters in her books are Bengali or Bengali American. Her novel-turned-movie, The Namesake (Houghton Mifflin, 2003), is the coming-of-age story of Gogol Ganguli, a man trying to distance himself from his Bengali immigrant parents and their way of life. But most of Lahiri's short stories are not about the immigrant experience or about cultural identity crises similar to what Gogol Ganguli went through. Her short stories are about love and desire, miscommunication and misunderstanding, death and loss. Above all, her short stories are about relationships. They are nuanced and authentic portrayals of friends, lovers, parents and children, siblings, and family friends. Lahiri is especially skilled at writing stories about marriage - particularly about the challenges of marriage. It's no wonder her first collection of short stories, Interpreter of Maladies (Houghton Mifflin, 1999), won a Pulitzer in 2000. My favorite story in Interpreter of Maladies is "A Temporary Matter." Since their baby was stillborn, Shukumar and Shoba have been eating dinner separately: husband in the study; wife in the living room. For five days, their neighborhood's electricity is cut off from 8 to 9 p.m. (Repairmen have to fix a damaged line.) This forces Shukumar and Shoba to dine together by candlelight. Shoba remembers a game she used to play while visiting relatives in Calcutta. When the power would go out, everyone would take turns saying something interesting. Shoba suggests that she and Shukumar tell each other a secret during every power outage. Over the five nights, crushing secrets are revealed. "A Temporary Matter" is a painful and fascinating look at a couple unable to overcome the grief over their dead child together. Unaccustomed Earth (Knopf, 2008) is Lahiri's bestselling second collection of short stories. My favorite story in this collection is "Hell-Heaven," a powerful and entertaining story about the young Usha and her mother who falls in love with a family friend named Pranab. (Pranab is like an honorary uncle to Usha.) The love is unrequited and Usha’s mother is so devastated when Pranab falls in love with someone else that she douses the sari she is wearing with lighter fluid and prepares to light a match. I recommend Jhumpa Lahiri's works. Her prose is simple, yet also really detailed and assured. Her stories are thought-provoking and you will marvel at how well-written they all are. Of the many books I read during my graduate program, Lahiri's are among the few I kept. The stories simply tear at me, wriggle their way under my skin, and I just love her writing. And she is so beautiful -! Hi, Tanita! Yes, she is GORGEOUS. I hear she is working on a new novel. I can't wait! :o) And I know I'll be even more blown away when I read her short stoires all over again. I love how Jhumpa Lahiri really captures nuances in relationships. . . .